Thorpeness, Leiston, Snape, Iken, and Sudbourne, in Suffolk England. We welcome everyone who shares our interest in the study and promotion of local history. You can follow us on Twitter @aldeburghlhs. 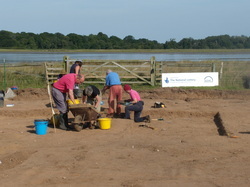 SEE OUR PAGE ON OUR ARCHAEOLOGY PLANS Here. HERE. (Note over 15Mbytes big.) And the Appendices HERE. Sue will discuss the impact the Huguenot craftsmen had on our culture. Our lecture programme for 2018/19 is going really well with record attendances. Our last lecture on Pirates Povery and War and its effect on Aldeburgh by committee member Diana Hughes was very well received. Our full programme for 2018/19 now announced. The Consequences of Invasion. See Events. Our theme for 2018/19 now announced. The Consequences of Invasion. Plus our first visit. See Events. Subscriptions for 2018 now due! See JOIN. We had an excellent visit to Norwich Castle with a guided tour of both Art exhibition and the courtroom. Our programme for 17/18 now published. See EVENTS. Our AGM will take place before our lecture - see left. Event programme for 16/17 now published. See Events. The report from our fieldwalking at Chapel Barn Farm is now available. See Archaeology page. It is with great sadness we report the passing, peacefully at home after a brief illness, of our previous chairman Derek Andrews on March 18th, aged 83.. He made a tremendous contribution to the Society and will be greatly missed. Final report from our excavations at Barbers Point now published. You can download from this page see bottom left. Field-walking expedition on 24th September was a great success. See ARCHAEOLOGY. Our new programme of lectures and visits is now published. Click Here. Our Barbers Point evening was a great success with the Jubilee Hall packed to capacity. We now have a booklet on the discoveries. If you would like a copy you can get one from Aldeburgh Museum in the Moot Hall (£2) or send a cheque (£2.50) to Aldeburgh Museum, Moot Hall, Aldeburgh IP15 5DS with your contact details and one will be posted to you. 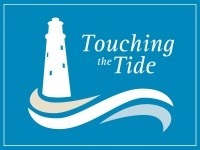 Today BBC Look East and Touching the Tide went to Barbers Point. You can see our site from the air or what is left of it. To see it click here.